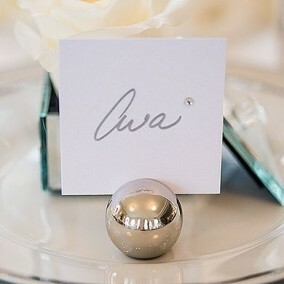 When greeted with these fabulous and functional favors, your guests can find their seating assignments and follow their hearts right to their tables! 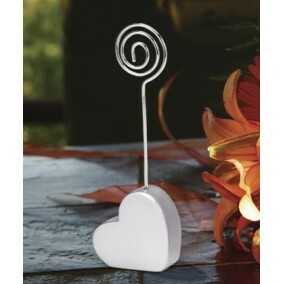 And, they're sure to love the fact these versatile mementos are also great for holding photos/notes once they take them home. 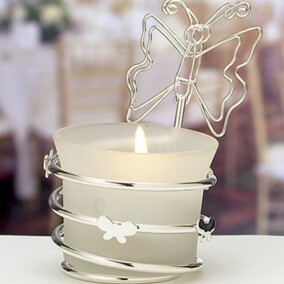 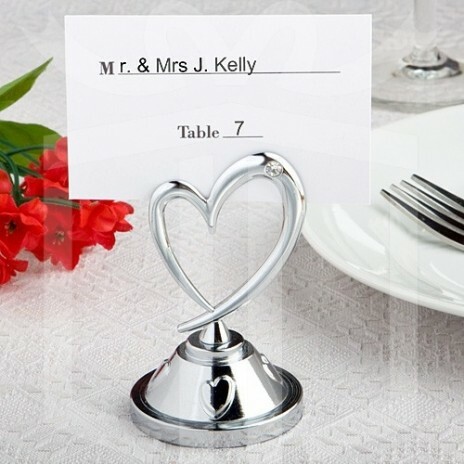 Each measures 7 cm tall x 4.5 cm wide and is made of metal chrome in a shiny silver plated finish, with a dramatic contemporary design open heart, elegantly enhanced at its top with a glistening clear rhinestone accent, perched atop a multilevel circular base that is embossed with matching open heart designs. Each is fitted with a top slit for easy insertion of a place card, photo or note. 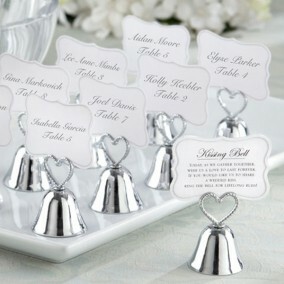 A tribute to long-lasting love, these favors come bulk packed with blank place cards included.